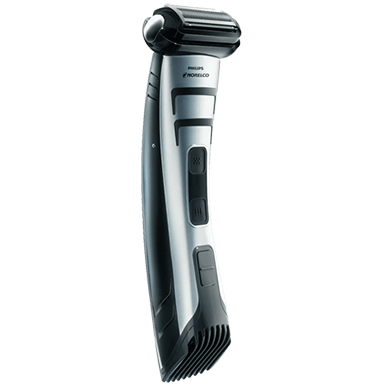 The Philips Norelco Bodygroom Series 7100 is a dual sided men’s shaver and trimmer that is both cordless and rechargeable. It solves the problem of men who must shave and trim specific beard styles and body hair, without needing to purchase two different personal grooming devices. 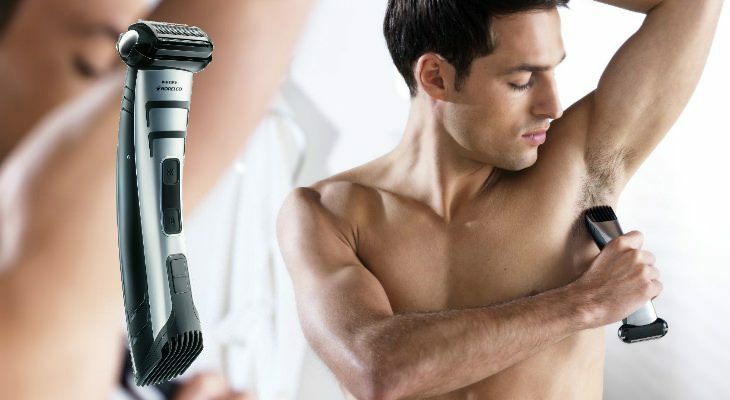 This shaver and trimmer has been specifically designed for men who want to look good below the neck, having the ability to shave and trim chest hair, yet who want a simple and comfortable shave. It’s dual sided, so you can solve two problems with one device. Men can use this shaver to shave face and neck, chest, groin, arms, legs, underarms, back, and shoulders. The shaver can also be used wet or dry. It has a water-resistant casing and materials. The shaving head on both ends will provide a comfortable shave or trim, while minimizing nicks, cuts, or pulls. This shaver has a slightly curved design, making it easier to hold in the hand. It’s built within a black and silver metallic casing. The shaver is on one end, while the trimmer is on the other end. The trimmer pops out when needed, then clicks back in to keep it out of the way. The Philips shaver and trimmer has a 3D pivoting head that makes it easier for it to follow along your face’s or your body’s curves. This makes the shaving much easier on your skin, for maximum comfort. You’ll find that skin irritation will be at a minimum. The trimmer end of this unit is built with a high-performance trimmer, that has rounded blades and combs to prevent scratching the skin. The blades in this high performance trimmer each have individual blades that are rounded, to effectively snip body hair off quickly. There are five different length settings so you can choose how long or short you want to leave your hair. You can choose up to 11/25 of an inch for the look you want. 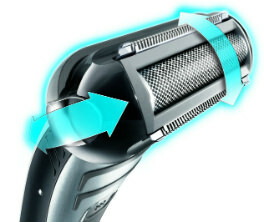 The trimmer end of the shaver has five different length settings, and will trim even the thickest hair. The comb on the trimmer end will glide smoothly over your skin while shaving, so you won’t need to force the device to do what you want. The shaver end will prevent nicks and cuts, but it’ll also be effective in shaving off long or short hairs, on the face and neck, in a single stroke, without the repetitive need to go back and forth. This also minimizes discomfort, preventing redness or razor burn from happening. The blades within this men’s shaver and trimmer are self-sharpening. 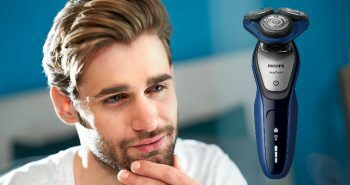 That means that you won’t need to replace the shaving or trimming heads as often, as the blades in the shaver will shave as effectively one year from now, as they do the day that you removed the device from the box. You can use this shaver/trimmer wet or dry. You can use it under a running tap, in the shower, or in the bathtub. You can also use it with shaving gels, foams, lotions, and creams. 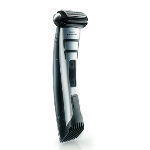 It’s simple to maintain your Philips Norelco Bodygroom Series 7100 men’s shaver and trimmer. After each shave or trim, you can simply rinse the device under the faucet, shake out, and dry with a towel, all for simple cleaning. It takes only one hour of charging to provide 50 minutes of shaving or trimming time. This shaver will need to charge up for twenty four hours after you first remove it from the box. 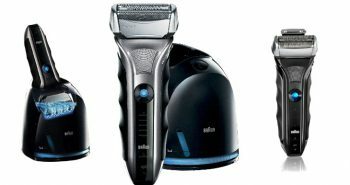 This Philips shaver and trimmer costs under $60, making it a great solution for men who want a multi-purpose trimmer. 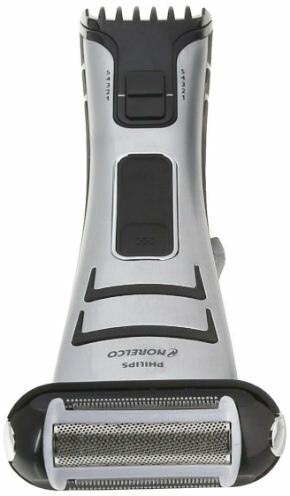 The Philips Norelco Bodygroom Series 7100 also comes with a charger cord, and a charger stand to make charging easier. There is a full two year warranty on the Bodygroom Series 7100. While the internal blades are self-sharpening, you may wish to replace both heads every couple of years with the BG2000 replacement heads. Inside the box you’ll receive one Philips Norelco Bodygroom Series 7100, a charging stand, the power charging cord, and a cleaning brush. This device weighs about eight ounces. 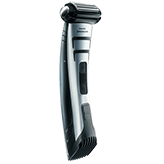 If you’re a man who has a lot of facial and body hair that you like to keep maintained, you’ll appreciate this two-in-one Philips Norelco Bodygroom Series 7100 men’s shaver and trimmer. It’s designed for men who don’t want a lot of hassle or personal care products on their bathroom counter. It can be used anywhere on the body, and it’s cordless and rechargeable feature will keep you from becoming entangled in it. It’s also handy for travelling, as less room is needed in the luggage. Its affordable price will be a great selling point for men who are on a budget.